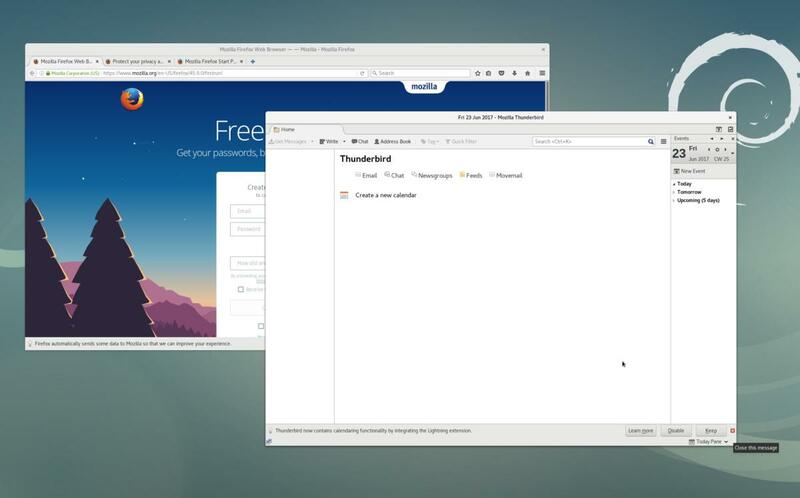 Debian 9 comes with properly branded Mozilla applications (Firefox and Thunderbird). 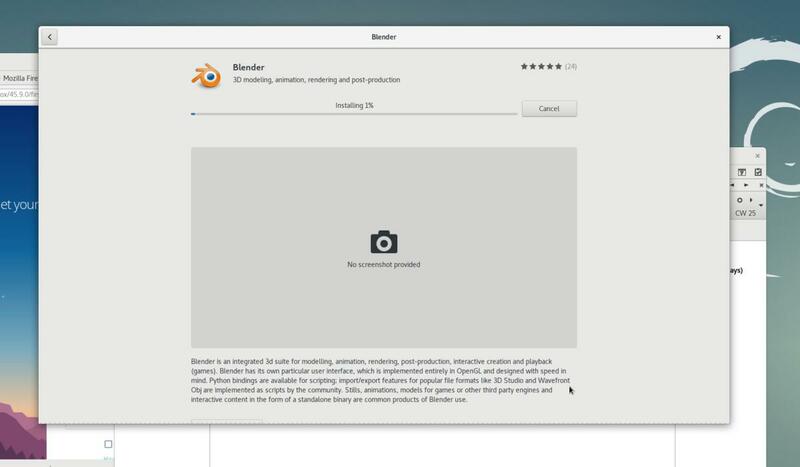 GNOME Software works as expected on Debian 9. Other applications will vary based on the desktop environment you choose. Speaking of desktop environments, Debian offers live ISO downloads with the Cinnamon, GNOME, KDE Plasma, XFCE, LXDE, and MATE desktops.As with any Linux distribution, if you get sick of the desktop you initially installed, you can always install a new desktop environment and pick to run that one on boot instead. Debian 9 also ships with Linux kernel 4.9. Kernel 4.9 will support most hardware out there but doesn’t have some of the optimizations for the latest processor architectures (Intel’s Kaby Lake and AMD’s Ryzen) that kernel 4.10 has. If you’re running a Kaby Lake or Ryzen processor and really want 4.10’s features, you’ll have to compile and/or install the 4.10 kernel yourself. When playing around with Debian 9 on my own, a small gotcha caught me off-guard. After I installed Debian from the GNOME live ISO, my user account suddenly didn’t have sudo access. That means if I wanted to update or install my system, I couldn’t do it. On top of this, the root password I chose during installation didn’t allow me to log in as root. If you don’t know what your root partition is, it’s typically /dev/sda1 if you used the defaults during installation. You can always look up the partitions on your system by with the command lsblk. You can also alter the root password with the passwd command. Once you’re all done, type exit to exit the chroot environment and exit again to close the terminal window. Then simply reboot, and you’ll have sudo access as usual. Debian 9 is a great operating system to use. Purists love it because it doesn’t come with any proprietary software. Other users love it for its stability. If you’ve used an Ubuntu flavor like UbuntuGNOME or Kubuntu before, using Debian will be pretty easy for you. However, don’t expect the latest and greatest software to hit Debian repositories. Debian is built for those who crave a system that will “just work” instead of being on the bleeding edge. You can download Debian 9 “Stretch” from debian.org. If you need help with installation, Debian has an online manual that you can also download as a PDF.